Capped FibreUsage based Fibre Packages starting from only R447pm! Further documents are also applicable to these terms (clause 2). 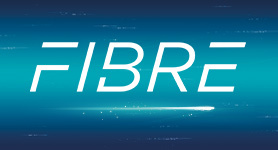 Fibre speeds are provided on a "best-effort" basis, subject to the last-mile partners’ line constraints and demand on the Afrihost network at any given point. You consent to Afrihost monitoring your traffic data for accounting purposes and to ensure the Afrihost system is operating properly (clause 7.1). Disclaimer and Limitation of Liability (clause 9). Transfer of data is only available between Afrihost clients. Afrihost will be under no obligation to transfer data to external users. 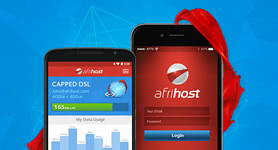 Afrihost Data is valid until the end of the month of purchase. 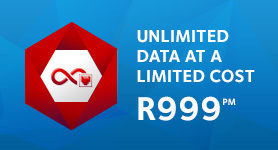 Afrihost will rollover unused data for an additional calendar month proactively. Afrihost will be entitled to assume that the Fibre Line provisioned to a Client is in good working order until such time as the Client advises Afrihost Support of any problems or service breaks. Any faults or service interruption should be reported via one of the channels available on the afrihost website. The last mile provider will attend to faults reported by the Client during office hours and the relevant party will apply its reasonable endeavours to have the Fibre service restored in the shortest possible time. IF THE LAST-MILE PROVIDER DETERMINES THAT THE FAULT REPORTED BY THE CLIENT WAS CAUSED BY THE CLIENT, THE CLIENT SHALL BE LIABLE FOR PAYMENT OF THE RELEVANT CALL-OUT CHARGE AS DETERMINED BY THE LAST-MILE PROVIDER FROM TIME TO TIME. The provision of Afrihost's Fibre Services are subject to Terms and Conditions. Each last mile provider's Standard Terms and Conditions for the provision of Services. Clients and potential clients are encouraged to familiarise themselves with the content of these documents, which are incorporated by reference into these Terms and Conditions. Valid and operational last mile provider service. POTENTIAL CLIENTS SHOULD CONFIRM THE AVAILABILITY OF THE LAST-MILE PROVIDER SERVICE IN THEIR PARTICULAR LOCATION PRIOR TO PURCHASING OR ORDERING ANY FIBRE SERVICE OR HARDWARE FROM AFRIHOST. THE AVAILABILITY OF FIBRE SERVICES CAN BE CHECKED VIA OUR FIBRE AVAILABILITY MAP ON OUR WEBSITE, BUT AFRIHOST MAKES NO WARRANTY AS TO THE ACCURACY OF THIS RESOURCE, WHICH ARE PROVIDED BY OUR LAST-MILE PROVIDER PARTNERS. Applicants will be advised after receipt of an order as to whether the relevant Fibre service can be provided. 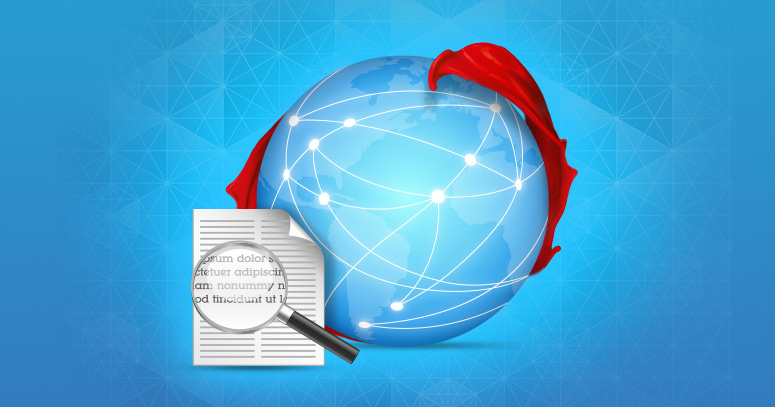 If the Client wishes to make a claim for service downtime, the Client must log a dispute with Afrihost, which will take the matter up with the relevant last mile provider. Any refund will be made to the Client by Afrihost, which has sole discretion whether to accept the Client’s claim. Such credit will exclude any claims for Slow Access, Intermittent Service and any other fault type except No Service faults. The calculation of time periods for the purpose of calculating any service credit shall only commence upon the reporting of any fault to Afrihost Support. Cancellations are made as per the General Terms, and will only be accepted from within ClientZone. Cancellation of any Fibre service (Data or Line rental) is the Client's responsibility and all tools to effect such cancellation are provided in ClientZone. The Client is responsible for ensuring that such cancellation of service is actioned with due attention to terms of cancellation, as well as cancellation conditions which require the Client to specifically indicate a required process (for example whether an Fibre Line Rental service should be moved back to the last mile provider or cancelled entirely). Should the Client incorrectly complete the cancellation process, Afrihost will not be liable for any additional costs or compensation to the Client due to the error. Amendments to these terms and conditions will be made as set out in the General Terms. The Last Mile provider’s Standard Terms and Conditions for the provision of Services also apply to this Service, and may change from time to time. The Client is obliged to check for changes to such terms. Afrihost monitors its systems for performance and accounting purposes. The information gained thereby and by any other means may be used to ensure compliance with the Service Terms and our Acceptable Use Policy. Transfer of data is only available between Afrihost clients. Afrihost will be under no obligation to transfer data to external users. Transfer required the ClientZone username of the recipient. Transfer of data is only available between identical product types. Afrihost will not be obliged to effect transfer where the properties of the transfer product are not compatible with the requested destination product. Data will be eligible for transfer during both the Initial and Rollover periods. However, once expired, data will no longer be eligible for transfer. Transfer of Data is only possible between Active accounts. Should either account be suspended, terminated or in any other ineligible state - transfer is not possible. Accounts which are active, but not in good standing, may be determined to be ineligible for transfer at Afrihost’s sole discretion. Data can only be transferred once, from the initial user to the initial recipient. Thereafter, data is no longer eligible for transfer. Once effected, transfers may not be reversed. Afrihost will effect transfers in increments determined by Afrihost. The incremental amount will both serve as a minimum transfer amount, and then as incremental amounts in which data may be transferred. For mobile data, the minimum and incremental amount is 512MB. Hence the minimum amount for a transfer is 512MB, and thereafter can only be transferred in increments of 512MB until a maximum value is reached in relation to the total amount of data available for transfer by the initial user. Afrihost Data is valid until the end of the month of purchase. This is referred to as the “Intial Period”. The initial period will from the date of purchase, until the end of that calendar month. The initial period will not exceed 31 days. 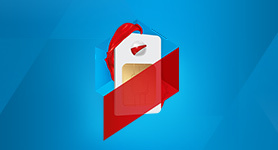 Afrihost will rollover unused data for an additional calendar month proactively. This is referred to as the “Rollover Period”. The Rollover Period will not exceed 31 days. Rollover of data will not require any action on the part of the client, and is performed by Afrihost on the client’s behalf as a courtesy. Should data not be automatically rolled over, the onus rests on the client to alert Afrihost to effect rollover. Clients will not be eligible for further rollover of data once the Rollover Period has elapsed. Data will first be consumed from the rolled over data, before using the new Monthly Allocation or any newly purchased data in the same month. Clients who request a package change will forfeit any rolled over data from their previous package. Top-ups of data will expire after 30 (THIRTY) days (from date of purchase) and will not roll over, unless the expiry date falls in a consecutive month, e.g. a Top-up purchased on 15 December will expire on 15 January. Afrihost offers a notification facility for all Capped Data products. This facility is available in ClientZone. Clients will be opted-in to Notifications by default, in line with relevant legislation. Clients may opt-out or customise notifications in ClientZone, and thereafter there will be no obligation or liability on the part of Afrihost should a client not receive such information due to the settings they have chosen. Afrihost will make every effort to deliver notifications as quickly and accurately as possible. However, Afrihost cannot be held liable for delivery delays or failures that may occur due to external forces outside of their control, such as mobile networks or email providers. Where Afrihost has made a reasonable effort to effect delivery, they will be deemed to have fulfilled their obligation. The onus is on clients to check their notification settings and amend as required in ClientZone. a full coloured, clear, legible copy of their valid Identity Document or Driver's License. Non-South African citizens may submit a copy of their valid Passport or International Driver's License. Verification documents must contain photo identification. Failure to produce ID verification for an account will result in the product not being activated, regardless of any pro-rata amounts billed. Should the Client cancel all current valid Afrihost Services, ID verification will be required to sign up for new Services. ID verification will not be requested as long as verified Afrihost Services remain active. Afrihost accepts no liability for any loss or damage to the property or equipment of the Client arising out of the provision, installation or maintenance of the Fibre service. APPLICATION FOR, USE OF, AND SUBSCRIPTION TO THIS SERVICE IS AT THE SOLE RISK OF THE CLIENT OR APPLICANT. Afrihost is offering a One-Time credit for all clients towards costs incurred when signing up for Fibre Broadband with Afrihost. 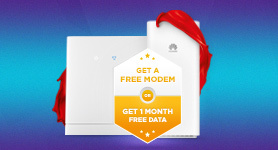 This offer will be available to all signups via the afrihost website and other selected channels. Until further notice this promotion will also be active through certain direct marketing channels and clients will need to sign up via the aforementioned direct marketing channels to be eligible for the offer. 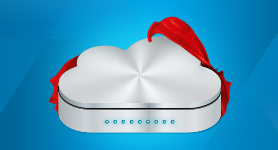 The overall amount of up to R4000 can be used to offset installation and hardware costs should a user sign up for a new Fibre connection, or alternatively should a user wish to change ISPs, we'll credit their Afrihost account to re-imburse them for costs leveraged by their previous ISPs to make the switch to Afrihost. Applicable to Vumatel signups only – The overall amount of up to R4000 does NOT cover the Installation Fee. The Installation Fee is directly payable to Vumatel. It is important to note that R4000 is the overall maximum amount that Afrihost will issue as a credit to users regardless of how it is achieved. If users sign up for a new connection, the savings will automatically apply on checkout. If a user is migrating from another ISP, we'll automatically zero-rate migration fees associated with the last-mile provider (i.e. Vumatel, MetroFibre etc.) and then credit their Afrihost account for the termination costs charged by their previous ISP (up to the remaining balance of the R4000 maximum) when they submit a copy of the termination settlement to us. This offer is available once-off, to one legal entity per address. Should ownership of an address change, the new occupant would become eligible for the offer. Should a legal entity wish to add an additional connection, or cancel and sign up again - this offer will not apply. Should a user cancel their Afrihost Fibre less than 6 months from installation, or their account falls into arrears, they will be charged a cancellation fee of R999. We will not credit users, when migrating ISPs, for hardware acquired independently or that is not stated as part of the termination settlement from their previous ISP. If a user is signing up via one of our Fibre Partner’s websites, they will need to submit substantiating documentation for installation and other costs via the Afrihost ClientZone in order for us to credit their Afrihost account for these costs. All hardware provided by last-mile providers will remain property of said last-mile provider into perpetuity. Should a user cancel their service and not migrate to another ISP on the same last-mile provider, they will be required to return the fibre modem of the last-mile provider as the hardware is provider specific. 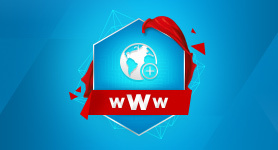 Wi-Fi routers provided by Afrihost will remain the property of users upon cancellation (subject to any outstanding fees). Wi-Fi routers can be re-used when switching providers and as such do not need to be returned to us. These terms were last updated 19 Mar, 2019. You can view other versions below.